“If you can write what people will read by choice, the world is yours,” says Vicki Spandel. If your writing fails to engage, no one reads it. As human beings, we write our passions, one way or another. Many of us have a deep desire to be heard and recognized. Yet if what you write doesn’t sparkle, you will lack for readers. Fortunately, visual storytelling empowers young writers to rely on a photo or image to support their writing. If students leave the writing workshop feeling famous, then I have done my job right. Sharing your writing, being enlarged by others’ writing, is what makes you feel famous. Wondering how to combine pictures and words in powerful ways? One approach sure to captivate involves visual storytelling. You can combine visual storytelling with existing approaches such as the portrait photo essay. While publishing student writing online fundamentally hooks students as writers, as teachers we can take advantage of available tools to make our jobs easier. Just as our students have new digital tools, so do we as their teachers. Place pictures in Instagram, Google Docs, Google Sites, or Facebook or give Padlet a try. “That’s where a physical Instagram display comes in. The idea is to create a display with images from your Instagram rotated out periodically. 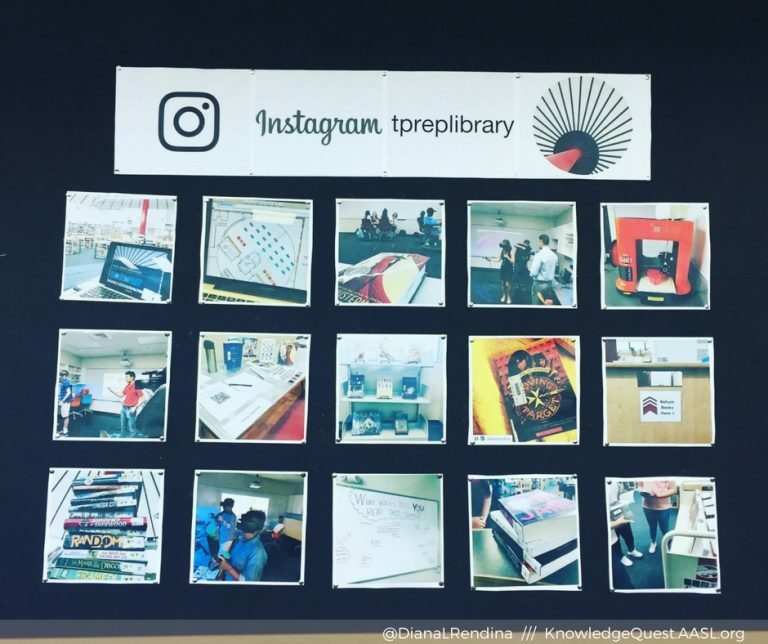 If you include your Instagram handle in the display, it promotes your account and encourages students to follow,” says Diana Rendina (@DianaLRendina), library media specialist. She goes on to say, “Once you set up the display initially, it’s easy to change out the images as you add new photos to your Instagram account. I refresh mine every week or so. It makes a nice evergreen display that keeps your students up to date about what’s happening in the library.” You can take Diana’s idea and give it a visual storytelling twist. Each of these ideas can be adapted for classroom use. And, probably, these ideas already have been. What makes them different is that the technology students use has changed. How are you using these technologies in the classroom? How about to share about your organization? Are you a storymaker? If so, you will want to take a hard look at Windows 10’s Photos app. In its Windows 10 Fall Creators Update, Microsoft has finally unveiled the feature-rich Story Remix TCEA reported on earlier this year. “The reimagined Photos app makes it easy to tell your story in video with a soundtrack, transitions, 3D effects, and Windows Ink,” says the Windows 10 Fall Creators Update website. Rather than a separate app, Story Remix is built into the Photos app. “There are so many different ways lives work out, so many stories, and every one of them is precious: full of joy and heartbreak, and a fair amount of situation comedy,” says Texas novelist Sean Stewart. How can we communicate these stories with a larger audience? Children are swapping stories online via YouTube. Whether we like the content of the stories they swap or not, we can celebrate the fact that these children are becoming familiar with the language of images and sound. So, with that in mind, how can we enhance story swapping in such a way that we take advantage of this media-rich language our children are using online? There are many tools available online that teachers can use to accomplish this. One tool that many have missed is Microsoft’s Moviemaker. Learn more online about becoming a storymaker. With the Windows 10 Fall Creators Update, the Photos app offers built-in features that facilitate video creation and sharing. Get a detailed walk through online. The Windows 10 Photos app offers an easy-to-use feature set reminiscent of PhotoStory more than MovieMaker. Still, it offers a wonderful tool for creating videos of still photos and adding audio, filters, and other effects. The re-imagined Photos app makes it easy to import photos, arrange them in sequence, and add special effects. Then you can export the video as an MP4. This video format can easily be hosted on YouTube and other online locations. To explore the features, I combined a few pictures and made them into a video. The process was simple. “Digital storytelling begins,” says Joe Lambert, co-founder of the Center for Digital Storytelling, “with the notion that in the not [too] distant future, sharing one’s story through the multiple mediums of digital imagery, text, voice, sound, music, video, and animation will be the principal hobby of the world’s people.” As our world becomes more connected through the internet, the importance of learning to use digital tools to share your ideas, your vision, and your stories becomes all the more critical. Microsoft’s revised Photos app makes this all the more possible. 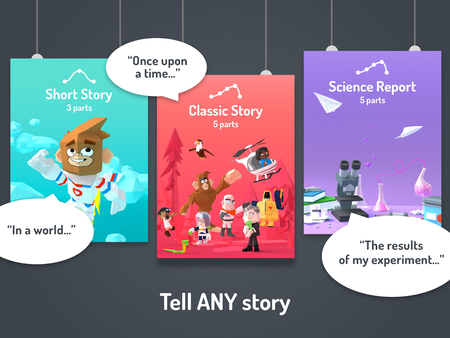 Toontastic 3D from Google is the latest storytelling app available, and it’s absolutely amazing. Students can draw their own characters, easily animate them, record their own narration, and create unbelievable stories. And did I mention that the powerful and open-ended app is free??? Available for both Android and iOS platforms, Toontastic 3D is perfect for storytelling with cartoons. There are no ads, no in-app purchases, and no registration, email address, or logins required. Google recommends the app for students ages 6-12, but I believe high school students would enjoy creating with it as well. And it would work with students working in pairs or alone. In addition, the app works just fine without Internet access. 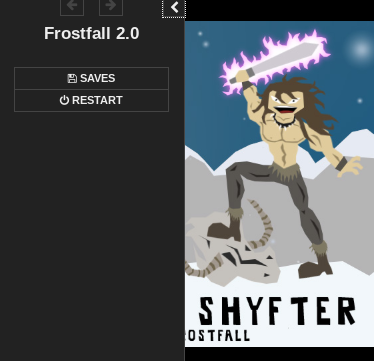 Finished animations are saved on the device in the app, but can also be exported to the photos app or library. Check out this 30-second video about Toontastic 3D. QUESTION Start by asking a research question. What do you want to know? HYPOTHESIS State your hypothesis. What do you think will happen? EXPERIMENT Explain your experiment. What data are you collecting, and what’s your control? RESULTS Analyze your results. What observations did you make? CONCLUSION Make a conclusion. What did you learn, and do you have any more questions? At the beginning of the year, the teacher can share a cartoon she has created previewing the upcoming learning for students. Students can interview each other and then create a story about their friend using a photo they take of them. They can create a “welcome to our school” animation for parents and visitors. In social studies, have students create cartoons about a state, historical figure, or time period they are studying. Or take primary documents and create a story about what they reveal. Students can retell a particular incident from a book they are reading, create a book talk promoting their favorite book, or retell a story from a different character’s viewpoint or with a different ending. If you really want to test your students’ creativity, ask them to create a short cartoon explaining a new math or science concept. Design public service announcements after students have researched a particular problem in their school or city. ESL/ELL students can use the app to illustrate vocabulary words. Campuses can do their morning announcements using Toontastic 3D, whether created by staff, volunteers, or students. If a concept is particularly difficult, the teacher can create an animation tutorial explaining it for students to watch whenever they need to. 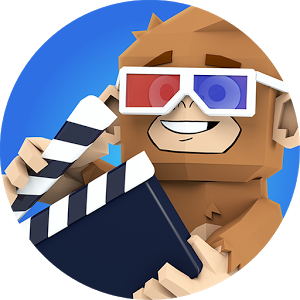 Toontastic 3D empowers your students to be the actor, narrator, cartoonist, animator, director, artist, writer, or creative genius that they want to be. Download it today and get them started! 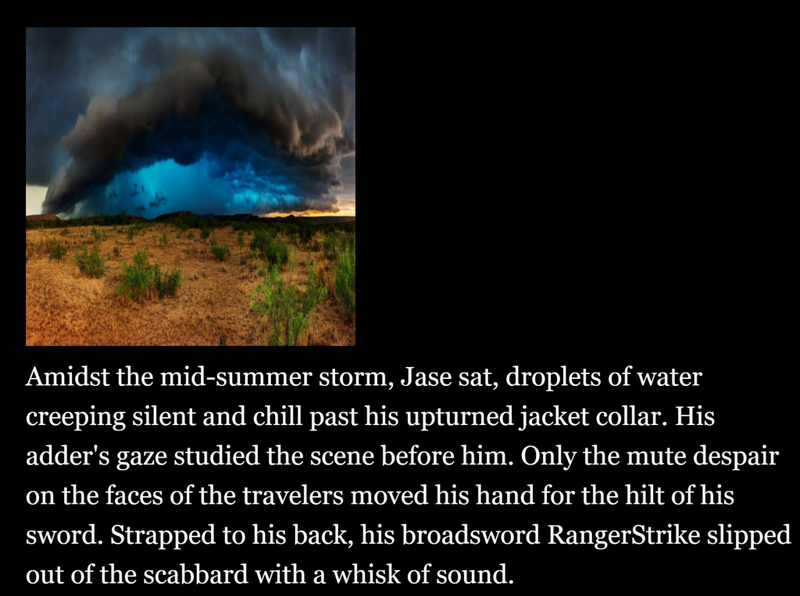 When I first participated in Joe Lambert’s digital storytelling workshop, my father had just passed away. Creating a digital story, Garbed in Silver, a combination of narrative and images, helped me cope with the grief of his death. It also helped me reconnect with some of my best memories, allowing me to create a remembrance for my young son that endures today on YouTube and Teachercast video hosting sites. Digital storytelling can be a powerful way to connect with others. In this blog entry, we explore digital storytelling resources and tips. Each of these contains digital stories that connect at a visceral level. And some, like We Are StoryMakers, invites the work of writers, actors, and media enthusiasts to create with a simple directive: you have five minutes to create a narrative and then record it. “In oral culture,” shares Joe Lambert, “we humans learned to retain stories as epigrams, or little tales that had a meaningful proverb at the end. In our current culture, many of us have not developed an epigrammatic learning equivalent to these processes.” Yet it’s not just about creating stories that are entertaining; it is about creating stories that transform us. As Vyasa says, “If you listen carefully, at the end, you’ll be someone else.” To accomplish that, I like to think that stories engage both our experience and beliefs, as Gretchen Bernabei demonstrates in this image, and helps us reflect and transform our perception of what has happened in our lives. OneNote + Office Lens: These two free apps, which work on a multitude of mobile devices, allow you to store text, audio, images, and embed videos, and could easily be used to collect information. 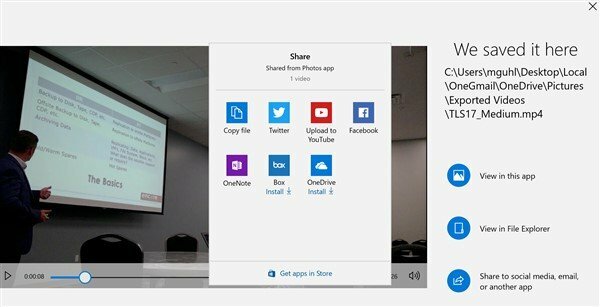 The Office Lens app lets you digitize content, snap a picture of paper items or photos, and save them to OneNote, a digital notebook. With OneNote’s built-in digital ink, students can easily fill in the chart and storyboard their digital story. The teacher can take those student creations, combine them with the final products, and publish them on Docs.com as a OneNote Notebook (which is free for everyone and works great on iPads, Chromebooks, Windows/Mac computers, and Android). Google Photos + Google Drive: With these two apps, you can save photos or videos taken with your device to Google Photos, saving content online. 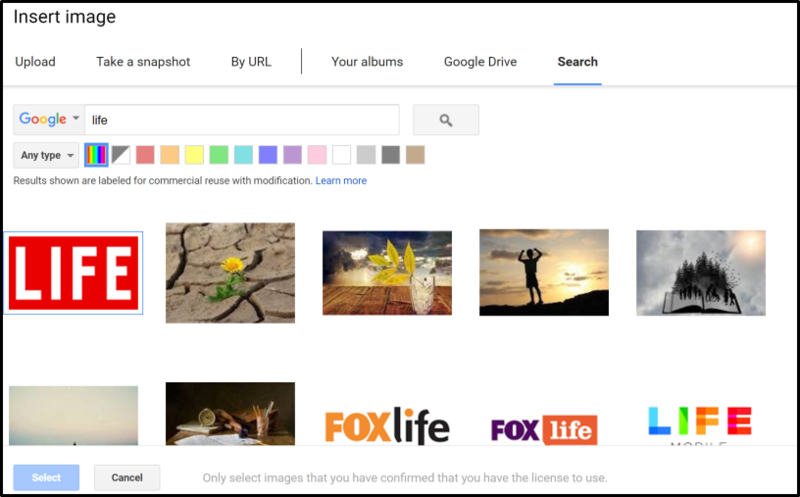 Google Drive offers unlimited hosting for GoogleApps for Education (GAFE) users, so you can easily drop videos and images there. Collecting images can be straightforward with mobile apps like Camera Awesome (iOS and Android), Camera MX (Android), and Google Camera. Image annotation becomes easy with Annotate (iOS), Photo Editor by Aviary (Android and iOS), SnapSeed (iOS and Android), as well as EyeEm Camera and Photo Filter (iOS and Android). Don’t be afraid to take advantage of green screen apps (DoInk for iOS and Green Screen Pro for Android) to further enhance photos, making your own greenscreen with a $1.00 Dollar Tree store green plastic tablecover. “Is that your son?” asked a friend when I showed him the digital story I had made of my Dad. The picture showed my son, perched like a king, in my Dad’s lap. Both were grinning, the picture such an attention grabber that even now I find it hard to look away. If you are looking for examples of photos that hold your gaze, check out the IPPAwards.com site. You can also find a wealth of images in free, public domain, or available for re-use online. Note: Want to learn more about becoming a story maker? 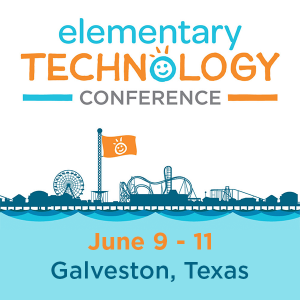 Be sure to join Miguel Guhlin at TCEA’s Tots and Technology Conference taking place this summer in both Galveston and Frisco, Tx! “Little strokes” said Benmin Franklin “fell great oaks.” Epigrams like this one powerfully send the message that you have achieved something, overcome adversity if it comes at the end of your digital story. If you can’t make one up, find the right epigram to borrow, properly cited, of course. Practice telling your story aloud, using the pictures as your guideposts; keep your wisdom brief. Apps like Shadow Puppet EDU, Adobe Voice, and Storymaker 2, as well as MS Office Mix (Windows/Mac) enable you to combine content in powerful ways. The process is straightforward, but the key lies in creating epigrams that will stick in people’s minds. Include music only if it enhances your story; otherwise let your voice, or silence, and images make the message clear. All of us are carrying countless stories in our mobile devices, in the moments that we felt compelled to capture with a camera. And those moments call to our spirit, seeking to liberate words that lay afraid in our minds. Digital stories can set you free. What do you want them to do with the end product? Will their stories be shared in a public online place for a wider audience or just viewed from the device on which they are created? Your answer to these questions will narrow the field of possible options. Younger students, or students that may be open to distractions, will do better if you have them use tools that have fewer bells and whistles. These no-frills tools (such as 30hands Starter) minimize distractions and help students focus on the content of their story. 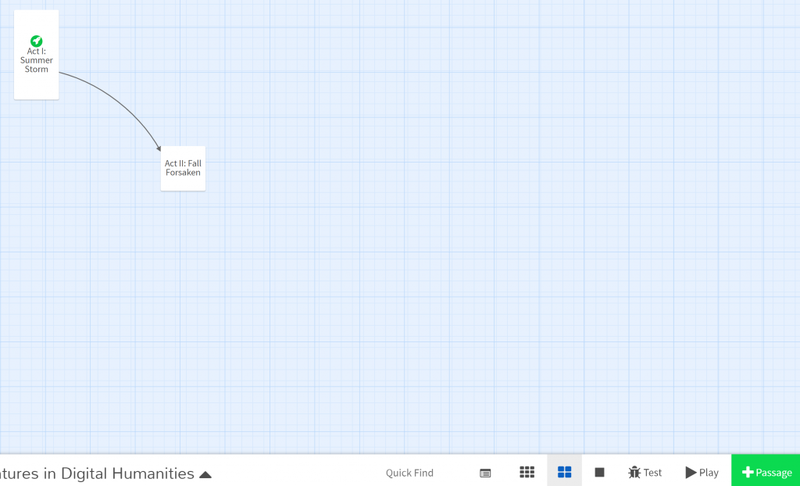 Have students plan their digital story prior to using the apps/websites. Consider using a template such as the 8 panel (Word) template, the film and video projects (Zipped) template, or the TCEA storyboard (Google Doc) template. Look through this Google search of completed storyboards and select a few to share that are relevant and appropriate for your content as examples. Provide your students with a rubric to hold them accountable and guide them through the assignment. Consider using this general storytelling rubric, one of Rubistars rubric templates, or Kathy Schrock’s digital storytelling rubric. Digital storytelling is a great way for students to demonstrate understanding of the content and in a context that makes sense to them. After all, we all love to both hear and tell stories. You should find that your students are more motivated to do their work when given the option to use digital storytelling as an assignment choice. Let us know your favorite digital storytelling tools and how your students used them to create amazement in your classroom.